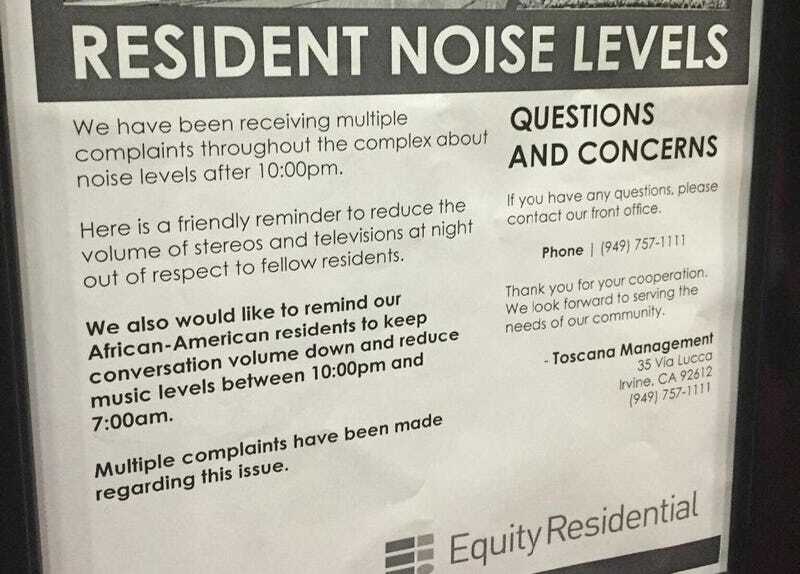 Nothing to see here, just a normal sign from a cool residential management company with specific noise control instructions for black people. No big deal at all. This is the most blatant racism I’ve seen in a minute, and 100% illegal under multiple provisions of the California Fair Employment and Housing Act and the Unruh Civil Rights Act. We’ve called Toscana Management and are awaiting their comment.